I’ve been noticing a lot of people in my newsfeed requesting an invite to the upcoming Facebook Messaging service through an application called ‘FMail Inviter’ today. 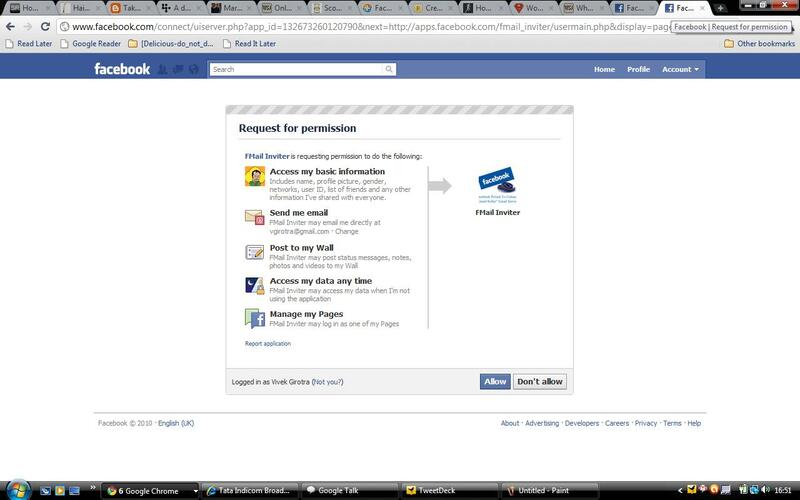 After clicking on the first screen, we reach this window where a standard FB ‘permission’ box opens up. However take a look at all the info it is asking for!! WOAH! If you clicked ‘Allow’, the application now has access to ALL your info on FB, can send you email, can post to your wall, can access your data when you are not logged in and can login to your pages!!!! Uninstall this app if you have inadvertently added it and in general be careful of any app on FB that asks for too much information. 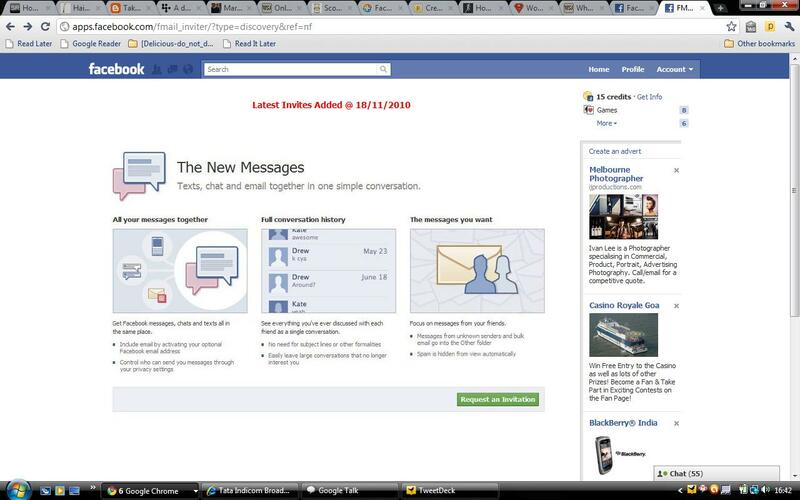 As Facebook gets more and more mainstream, there will inevitably be an increase in the number of viruses/scams/phishing etc. It is up to the user to be alert and keep himself/herself safe from these attacks.